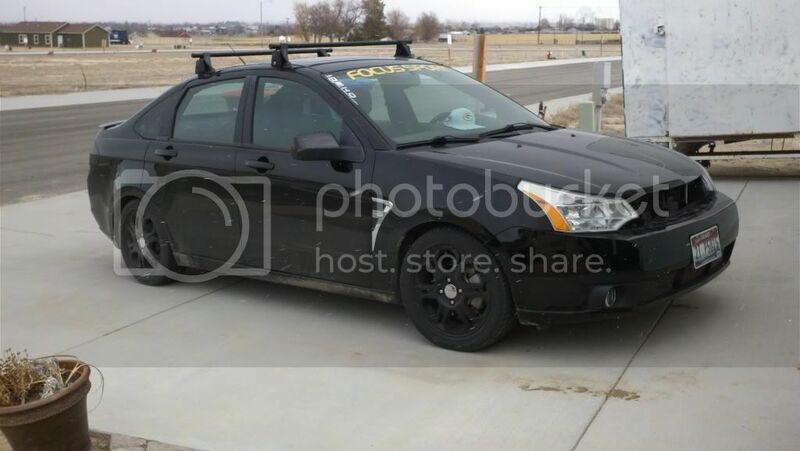 does anyone have pics of a 2nd gen focus with a roof bike rack? any info would help. tired of scratching my spoiler with my other bike rack. I call it supreme-cool. It does this neat thing. It makes drag! I was painting it. That pic is almost a year old. The yellow banner is also off. Rabbit. There are a few. Yours should be the same as mine. I'm thinking of going this route myself. The problem I worry about roof mount is the extra drag dropping gas mileage which could get real expensive if gas hits $5/gal as predicted this summer, I'm also amazed at all the vehicles driving around with bike/ski racks on the roof yet nothing on them, just drive all year leaving them on. LOL my bike got stolen bout 4 months or so ago. I dont roll around with my swagman rack on, you'd get a lot less drag and it's the route to go in my opinion just gotta be carefull backing up also the rack makes you stick out some too because you cant back all the way up plus with the hitch you have trailering options just in case. 130,000+ miles and still on factory brakes and clutch!